A book study for all ages! We'll be reading The War That Saved My Life by Kimberly Brubaker Bradley. Book are $6 and are available through the parish office or at Amazon.com. 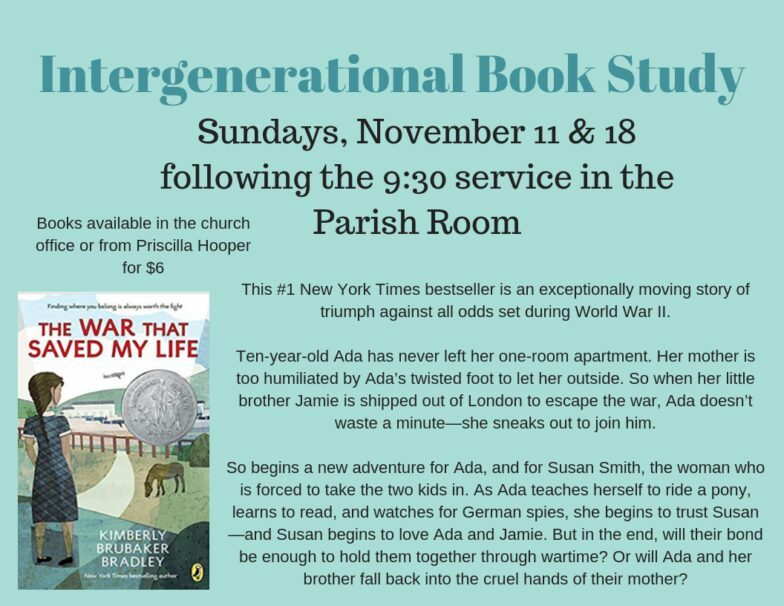 We'll meet for discussion on Sundays November 11 and 18 after the 9:30 service in the parish room. Read the book and join in the discussion!